3D printing is everywhere these days. People use it to make everything from product prototypes to jet engines, and everything in between — but how do 3D printers work, exactly? How do these magical machines make three-dimensional objects — of virtually any shape — in a matter of hours? Well, if you’ve ever been curious about these things, you’re in luck. 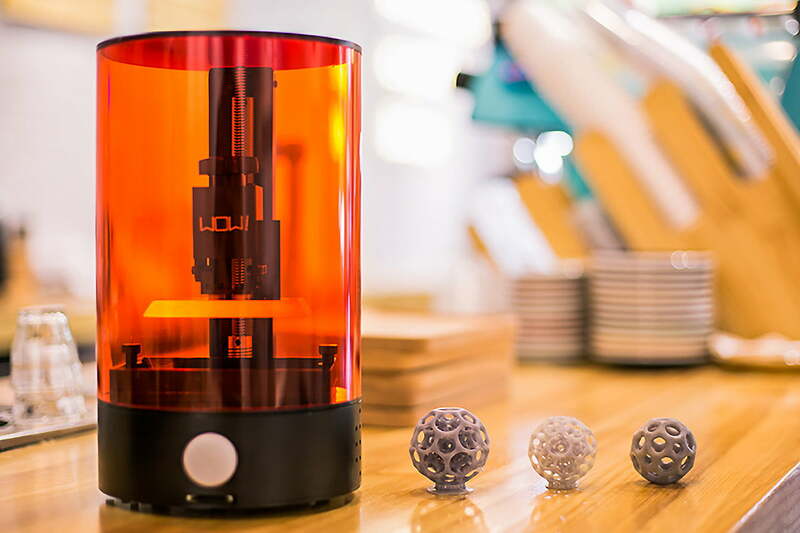 Here’s a dead-simple rundown of the four most common 3D-printing technologies in use today. Filament deposition modeling, also known as fused filament fabrication, is the most common type of 3D printing — at least on the consumer side of things. If you’ve seen a 3D printer in person before, chances are pretty good that it was an FDM printer. Functionally speaking, your average FDM machine works a lot like a hot glue gun that’s being operated by a robot (interestingly enough, that’s actually how FDM was invented back in the 1980s!). Solid material goes in one end, gets pushed through a hot nozzle, melts, and is deposited in thin layers. This happens over and over until a three-dimensional object emerges. The only difference is that instead of glue, these 3D printers typically use a thermoplastic filament like ABS or PLA. These purposefully-engineered plastics are designed to melt and become liquid-like at a very specific temperature but return to a solid state after cooling down just a couple degrees. In the simplest possible terms, FDM 3D printing is basically 2D printing over and over again. Each time a layer is completed, the nozzle moves up a little bit (or sometimes the bed moves down) and the next layer is printed on top of it. Eventually, after hundreds or even thousands of layers are stacked on top of each other, the result is a 3D object. SLA and DLP are two sides of the same coin. SLA (Stereolithography) and DLP (digital laser projection) both use light to “grow” objects in a pool of photoreactive resin. The difference is that SLA works by flashing a laser — a tiny dot of concentrated light — across a given area to harden it and create a layer. In contrast, DLP machines cure all areas of a layer simultaneously, by projecting light onto the resin in the shape of that layer. Regardless of the technical specifics, though, SLA/DLP machines generally operate in a similar fashion. To start, the printer’s build plate is lowered into a pool of liquid resin, and stops just a fraction of a millimeter before reaching the bottom. This baseplate, by the way, is completely transparent — which allows light to shine up through the bottom. When this happens, any liquid resin that is directly struck by the light will solidify, thereby forming the first layer of an object and fusing it to the build plate. After that, the build plate moves up a few microns (which draws in more liquid resin beneath it), and the process begins again. In this fashion, objects are created layer by layer, from the bottom up. SLS printing works very differently than FDM and SLA. To create an object, the machine flashes a laser over a bed of superfine powder, fusing the particles together to form a thin, solidified layer. The machine then sweeps more powder over the top of that layer (effectively burying it) and repeats the process until the print is complete. Printing objects in this fashion has a number of distinct advantages. It works with a broad range of materials, can print large overhangs and spans without using support material, and the parts it produces are extremely high quality. SLS printers can make objects that are nearly as good as parts created through injection molding, milling, and other traditional manufacturing processes. The only downside? SLS printers are outrageously expensive compared to their FDM and SLA/DLP counterparts. This is because high-energy lasers capable of fusing superfine particles together are, well, quite expensive to begin with. Generally speaking, even the cheapest SLS printers cost upward of $ 200,000 dollars — and the higher-end ones can easily cost millions. That said, there are a handful of companies currently working to democratize this technology and make it more accessible, so there is a chance that SLS printers might be available to hobbyists and consumers in the not-so-distant future. Think of polyjet printing as a magnificent hybrid between FDM, SLA printing, and normal 2D-inkjet printers. These machines squirt out tiny droplets of photo-reactive resin onto a build surface, and then immediately cure (harden) it with ultraviolet light. This process is then repeated hundreds (if not thousands) of times to create objects layer by layer. The big difference is that unlike FDM printers, polyjet machines can deposit material from multiple nozzles (hence the name) at once — which gives them a variety of advantages. Arguably the biggest benefit of polyjet is that objects can be created with a wide range of different colors, gradients, and patterns. Many polyjet machines can also print with multiple materials simultaneously. For example, if you needed a cordless drill housing with a nylon body and a rubber grip, a sufficiently advanced polyjet machine could potentially fabricate that object in one printing session. On top of that, polyjet printers are also capable of extremely high resolutions — so much that it’s often hard to tell that an object produced in a high-end polyjet machine was 3D printed.